Email marketing seen up close. 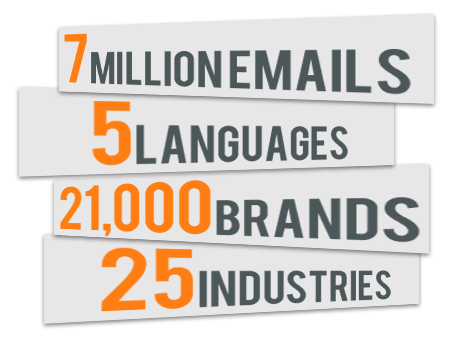 The benchmarking platform to monitor, analyze and compare over 7 million emails sent by more than 21,000 brands. With a wealth of features, NewsletterMonitor lets you discover all the best email marketing practices and be inspired. The perfect tool to unveil your competitors’ email marketing strategies; from layouts to the definition of offers and promotions. Sign up to NewsletterMonitor, it's free. A huge archive of newsletters containing over 7 million emails sent by over 21,000 brands, classified by language and industry. 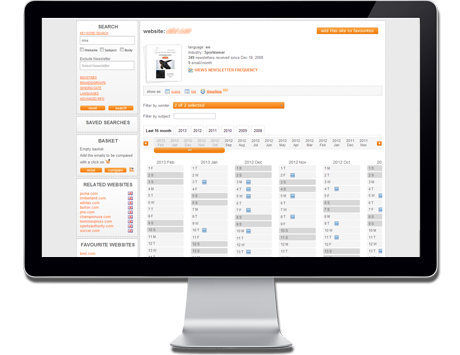 Analysis platform, which lets you view and monitor the frequency of email campaigns sent by top international brands. 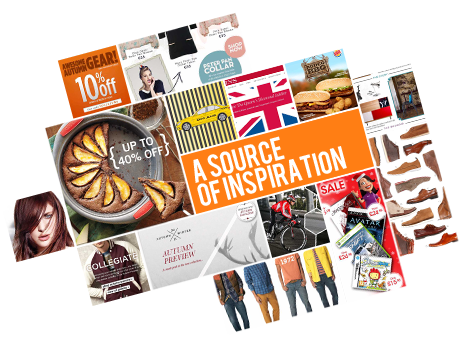 A source of creative inspiration for your communications, thanks to the best international email campaigns. A personal area where you can store and access the emails selected on NewsletterMonitor which are most relevant and interesting to you. Our Team is at your disposal for any questions you want to ask about the use of NewsletterMonitor. Both if you are curious about the platform and want to get the most out of it, feel free to contact us.